The AFI Catalog can be cross-searched along with the FIAF International Index to Film Periodicals Database and BFI Film Index International in the encompassing Screen Studies Collection (SSC). Consult the SSC LibGuide for more information. * Authoritative. AFI Catalog is developed by the film experts at the famous American Film Institute, the premier film research and educational facility in the United States. * Detailed coverage. Coverage begins with the very earliest American films and thoroughly covers this early era. It is the premier resource on early American films. * Plot Summaries. The AFI Catalog is noted for its thorough and extensive plot summaries. For major movies, such as Casablancaand Gone with the Wind, the plot summaries are often over 1,700 words in length. * Production Notes. The AFI Catalog is also noted for its detailed production notes, which offer inside information on casting preferences, debuts, delays, script re-writes and other important information. For major movies, these notes are often over 1,400 words in length. * Scholarly. Rich index content enables students to track down in-depth information on films. All fields are fully searchable by keyword and allow users to search for films by 11 different fields. Most fields also allow you to select from an extensive list. For the Cast and Crew field, you may select from 11 different types of jobs. Records also include references to content in periodicals to allow students to extend their research. 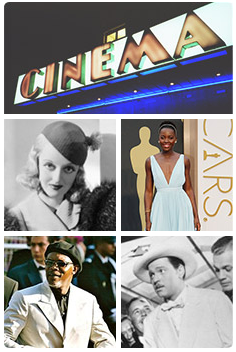 The American Film Institute Catalog by ProQuest is a national filmography documenting the history of American cinema. Cataloguing currently covers the years 1893-1974 comprehensively, with additional records covering selected major films from 1975 onwards. Drawing on the expertise of specialist staff at the AFI, it is a key resource for any educational institution, library, or film organization that is involved with the research, study, and teaching of film. Since the initiation of the project in 1968, the mandate of the AFI Catalog has been to catalog every American motion picture either produced in the United States or sponsored and financed by American companies as an aid to the preservation of the American national film heritage. In accordance with the international film archival body La Fédération Internationale des Archives du Film (FIAF), AFI Catalog includes only those films that are 40 minutes or longer in duration, or four reels or longer in length. To date, the catalog has comprehensive coverage of feature films of this length from 1911-1974; in addition, over 17,000 short films (those less than 40 minutes or four reels) have also been included from the first era of filmmaking, 1893–1910. In support of its basic mandate, it has been the goal of the AFI Catalog staff to codify the available documentation, present it in an accurate, decade-by-decade arrangement, and provide the scholarly and archival communities as well as the general population with a significant historical and cultural document that delineates America’s film history. Produced in collaboration with the American Film Institute, the American Film Institute Catalog is the premier resource for studying American motion pictures. It is the most comprehensive and detailed national filmography in the world. The Catalog includes the entire print version, which currently comprises five volumes documenting all films produced in the United States from 1892 to 1973, as well as new content and important updates for all previous records. Also included are records for the Institute’s Top Ten Films for the years 2000 to 2007. The Catalog offers authoritative plot summaries and insider production notes, as well as subject and song indexing for each film record.